Volkswagen is so mind-numbingly predictable in everything it does, you do sometimes wonder whether the whole diesel scandal was actually a game of self-initiated madness, just to inject a bit of excitement into its collective consciousness. Like a corporate version of that bloke who offered himself as dinner to the German fella. 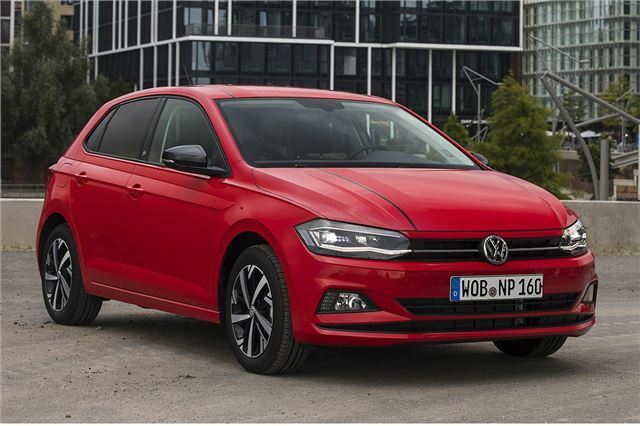 Anyway, this is the new Volkswagen Polo and it’s the mind-numbingly predictable Volkswagen Polo you thought it would be: bigger, better… bolder. Hang on, bolder? Yep, bolder. Not quite volunteer cannibal bait level boldness, but intriguing all the same. 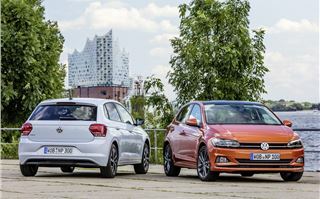 There’s the slightest hint of personality poking through the conformity here – a definite sense that Volkswagen has spent some time imbuing a bit of character into its small hatchback. Almost as though it wants young uns to buy them. For starters there's an extended colour palette that includes some disconcertingly bright paints, and for another thing you can follow suit in the cabin with one of eight coloured dashboard inserts - a couple of them mildly, erm, jazzy. And you have no choice but to accept the razor sharp folds on the body; it doesn’t come across very well in the pictures, but you could cut yourself on the metalwork down the flanks. 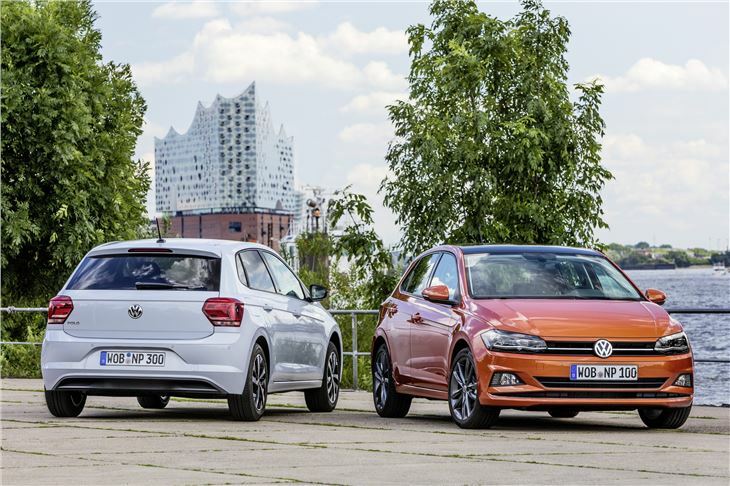 Going further, if yours is a higher-level Polo you’ll probably be staring at a pair of gloriously brightly lit and high definition twin screens, the one nearest to you a second-generation digital instrument panel – all very high tech. And yet, this Polo still does what all Polos before it have done so well: be the most grown up small hatchback you can buy. The latest Fiesta has had a go at being more sophisticated, but the Polo once again re-writes the rules on how it’s done. This is the small car made big and posh, from the inside at least. 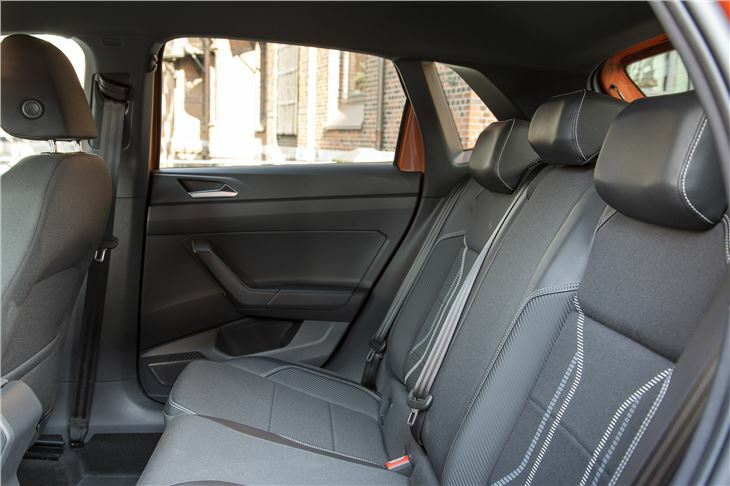 Tangibles include slight exterior transformed into significant cabin growth - it’s a little longer, wider and lower but it gets more head room, knee room and shoulder room, because the wheelbase has been stretched. Cabin oddment space is notably impressive too - big glovebox, wide door pockets, that sort of thing. 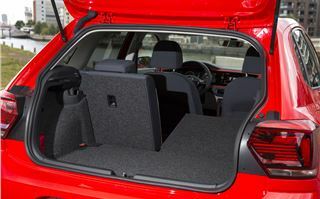 The most impressive area of growth, though, is the boot - up 71 litres to 351, and thus not only trouncing the Fiesta (292 litres) but approaching the Golf (380 litres). That, there, is another important phrase: ‘approaching the Golf’. This really is. The squishy stuff at the top of the dashboard is of the highest caliber, as is the infotainment, as are the fundamentals of the driving experience. 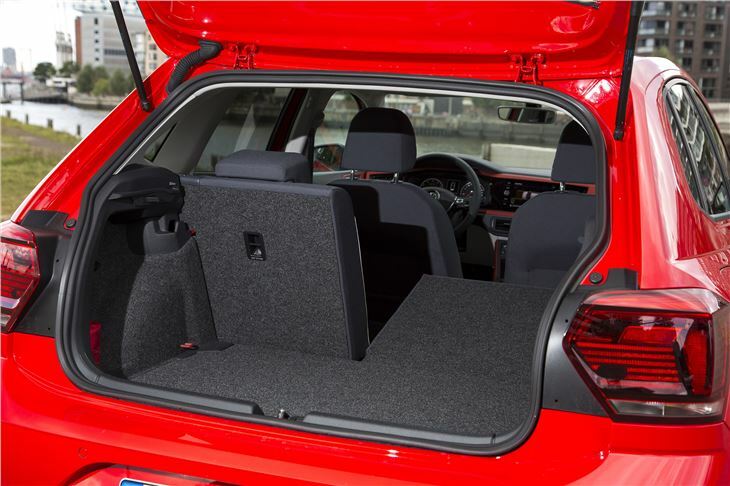 Giant or miniscule, you’ll easily find a flawless seating position behind the wheel and, while the ride quality doesn’t have quite the bump-soaking suppleness of a Golf overall, the Polo is a very calm experience - a little occasional under-thigh firmness aside. Generally, any flaws the Polo seem more to do with decisions of segment-appropriate cost cutting than Volkswagen getting it wrong. 'Flaws' like the door card plastics, which are hard and hollow and very much in contrast to the dashboard top. The engine range is light on diesel, too. 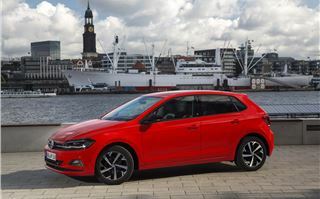 That said, Volkswagen reckons less than five per cent of Polos sold in the UK will be diesel, largely because the cheaper three-cylinder petrol models all manage around 60mpg. That and the whole thing about Volkswagen and diesels and emissions tests, obviously. At the time of writing this, the engine range is unconfirmed for us Brits – same goes for the pricing and specifications – although we do know enough to make educated guesses. Trim levels will broadly follow today’s, so probably along the S, SE Nav and GT lines. 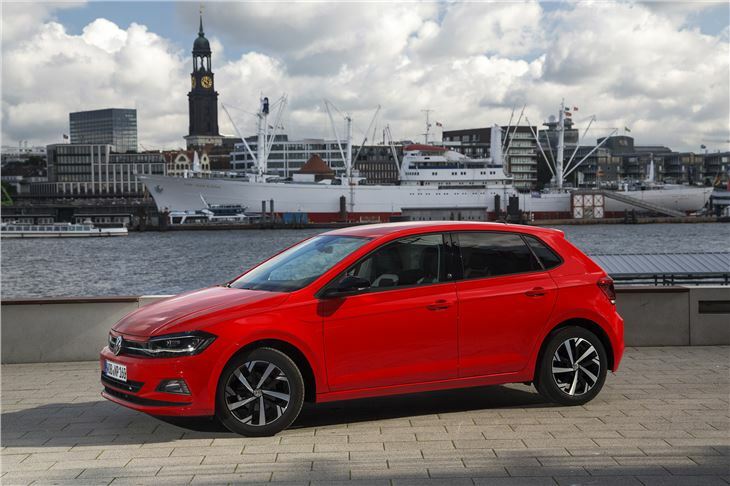 But because this Polo is five-door only and comes with air conditioning as standard, plus more safety kit than before, the starting price will be around £13,500. That’s a couple of grand higher than the outgoing car’s base point, but only a couple of hundred quid more when adjusted for spec. The single available 1.6-litre TDI will most likely be the 95PS version returning close to 70mpg, and it’s actually very good – punchy and remarkably well quiet for a small capacity diesel. There are three versions of the three-cylinder 1.0-litre petrol: 65PS, 75PS and 95PS. It could be that we get only two of those – they all offer similar low-end performance, smooth power delivery and quiet refinement. Finally, there’s a 1.5-litre TSI petrol with cylinder deactivation tech and 150PS which, assuming you're a target market young'un, will bridge the gap between the 1.0-litre runabout that you can’t bring yourself to buy and the 200PS GTI that you can’t afford to insure. Oh, and there’s a seven-speed DSG available too. The finer details we’ll save for the full review when we get the car back in the UK, but for now it’s enough to stress that if you’re in the market for a small hatchback and you want it to be large, classy, comfy and keenly priced, this is almost certainly the place to put your money. Its residuals will probably be a good five per cent better than the Fiesta's, for one thing. Have a good think before putting that deposit down with Ford, eh? The new Polo goes on sale in November for estimated January 2018 deliveries.